Rodillian Year 7 Rugby Squad take Tournament by storm!!!! Year 7 County Cup Final Success! Rodillian shine on wet winters evening at Headingley! The Season Starts with a Bang! 1/4 Finals Here We Come! We are very proud of our rugby tradition at The Rodillian Academy. 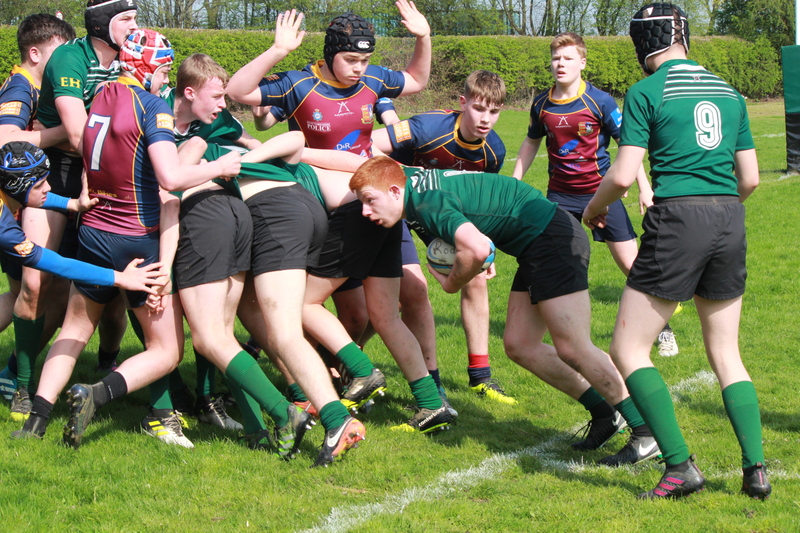 Our Rugby Programmes are well organised offering continuity through the teams and year groups. The structure allows our best players access to top class coaching and allows those who are developing their skills plenty of opportunity to progress through the teams. The traditional values of hard work, commitment, respect and sportsmanship are all held in high esteem, complemented by the total commitment of the coaching staff to individual needs, personal welfare and every pupil’s enjoyment of the game. 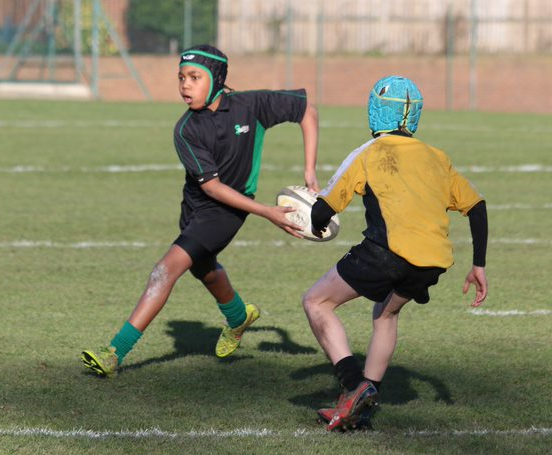 Rugby is played as the main sport throughout all year groups in the first term. 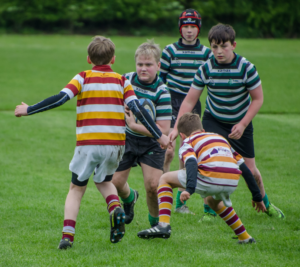 In the Lower School, emphasis is placed on enjoying the game and each session is planned to challenge the players, whilst emphasising core skills at all times. As the boys progress into the Middle School, their basic skills are supplemented with more complex concepts as their understanding of the game grows. The introduction of a well structured and progressive Strength and Conditioning Programme in the middle school supports the Rugby Programme and ensures the players are in the best possible condition to face the demands of the modern school boy game.The Rodillian Academy’s long term Rugby Programme seeks to introduce Rugby Union across all year groups within five years. Clear and accessible links have also been established with local clubs and governing bodies in support of player development. As part of the Rodillian Rugby Programme, selected students are now beginning their journey along a Strength and Conditioning pathway. The students will take part in differentiated, safe and well constructed training sessions with the aim of developing a training culture which ensures our rugby players are in the best physical condition to perform optimally. We also aim to develop a knowledge and understanding of the importance of training and preparing for sport correctly. To compliment their training, students will then be provided with a healthy and nutritious breakfast which not only aims to help students recover from the training session, but again we hope to educate the students regarding what and when they should be eating. Students will help prepare and serve the breakfasts to one another, developing leadership and teamwork skills along with cooking skills which can be used at home. This holistic approach to the development of our students supports the schools ethos in preparing them for lifelong learning and development. Every team is led by a member of staff who will manage the team; each member of staff is supported with a qualified or highly experienced rugby coach. The recruitment and retention of an outstanding and highly motivated coaching team ensures that pupils receive up-to-date and differentiated coaching sessions within Physical Education and within specialised skill or positional sessions. The school is proud of its link with both Morley and Sandal Rugby Union Football Clubs. A number of our students play at both clubs and in return bring back improved game understanding and love for the game. The School has also forged a strong link with the RFU who support our young leaders and coaching pathways. 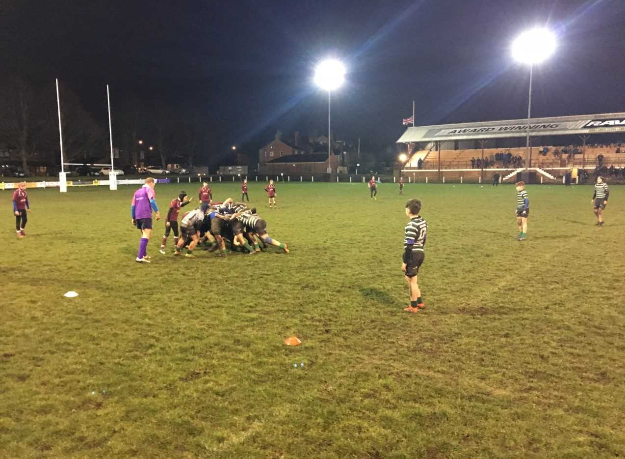 Yorkshire Carnegie are also investing time and effort to support our rugby pathways, working alongside us to promote rugby within our feeder Primary Schools as well as to our elite rugby players through their ERDPP programme. Rodillian Academy coaches currently coach or play at Wharfdale RUFC, Sandal RUFC and Huddersfield RUFC. The coaching team leading the rugby programme here at Rodillian rivals any, based upon their up-to-date knowledge and understanding of the game. New Zealand Sporting Legends Message to Parents – Let kids be kids! Playing with food afterwards, grazing knees, laughing at everything and having fun. Some of the legends of New Zealand sport talk about their own childhood experiences and offer some timely advice for sporting parents. 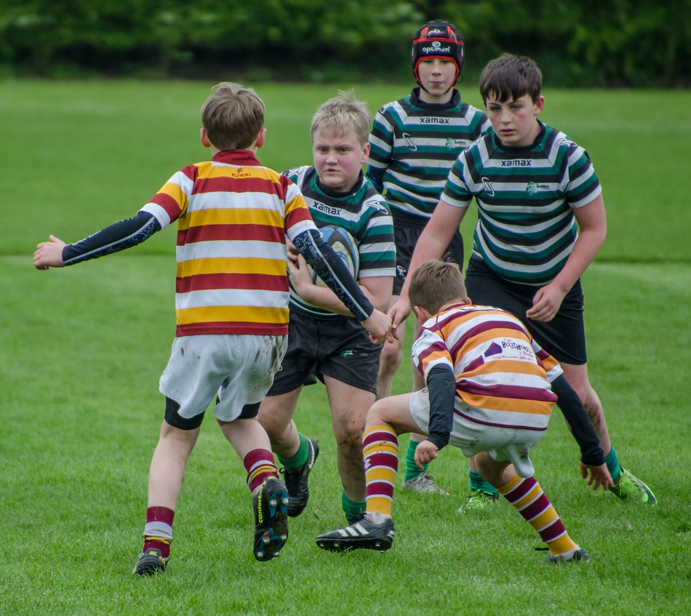 As the 2018 – 2019 season begins, I would firstly like to thank all parents for their support of the rugby programme last season. Both the players and staff coaches really appreciate all of your encouragement, as well as the odd cup of tea on a cold February morning! This season see’s the rugby programme challenged further as our fixture list becomes even more competitive. We fully appreciate your love of the game and your enthusiasm for your son to succeed on the pitch, but our priority is first and foremost that all students enjoy the experience of representing their school and playing with their friends and making new ones. Please ensure your behaviours and side line habits are ones centred around respectful support for both teams and that only positive and encouraging messages are given whilst supporting a rugby fixture. May I thank you in advance for any support you can afford the rugby programme. Lets look forward to yet another amazing season of sport at The Rodillian Academy. An unbelievable set of results across the year groups. 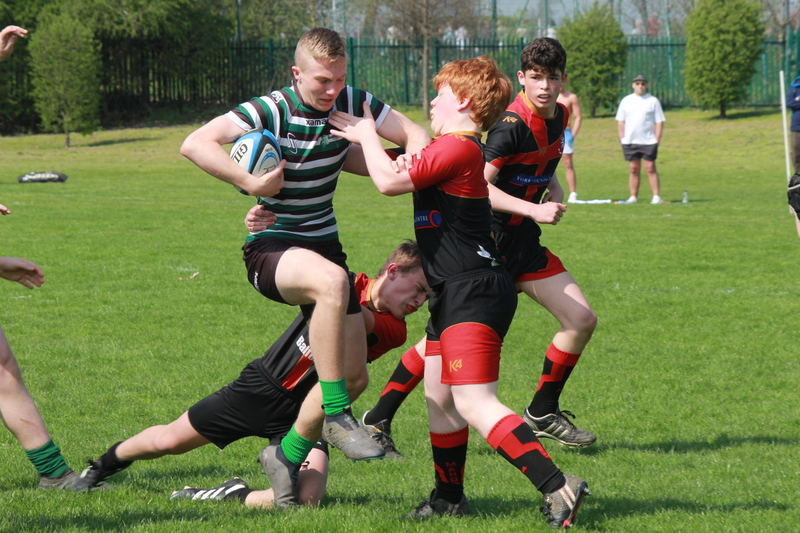 Well done to everyone involved with Rodillian Rugby this season! 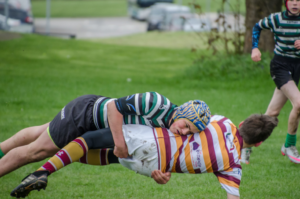 Does my child need to buy protective rugby playing equipment? It is recommended that students wear gum shields when taking part in rugby due to the physical nature of the game. Gum shields can be purchased from sports shops, online and from your dentist. Parents and students may also wish to purchase equipment such as shoulders pads and scrum (head) hats which can also be purchased from sports shops and online.Please be aware that it is the choice of the parents and students as to what protective equipment students may wish to wear when taking part in rugby training and within matches. Rodillian Rugby coaches can only make recommendations and the final decisions must lie with individuals. Please see a member of the rugby coaching staff if you require any further assistance or advice on this matter. There is also useful advice on the RFU (Rugby Football Union) website. Why are we playing Saturday Fixtures? The larger, more traditional schools have a prestigious history of playing block fixtures on Saturdays. This supports the ethos of committing to sports on a weekend and this will hopefully, if not already be a practice that our boys will develop. To be able to secure fixtures with the bigger, more challenging schools we have to be able to offer/ accept Saturday Fixtures. 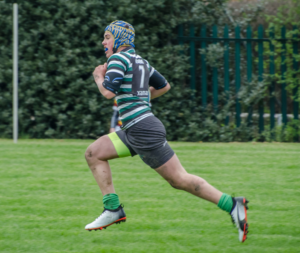 Supporting the Headmasters and the Rugby Programmes ethos of developing a culture of participation and performance, we feel it is important that we are providing a fixture list which will allow our boys to develop and learn valuable skills on the rugby field and in preparing for Saturday Fixtures. We understand that a number of our students already play sport on a Saturday/Sunday. 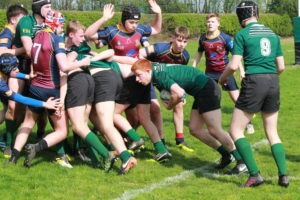 As we only have three Saturday fixtures this year, we would appreciate that every effort can be made to ensure that the boys are made available to represent the school in playing against such challenging schools. 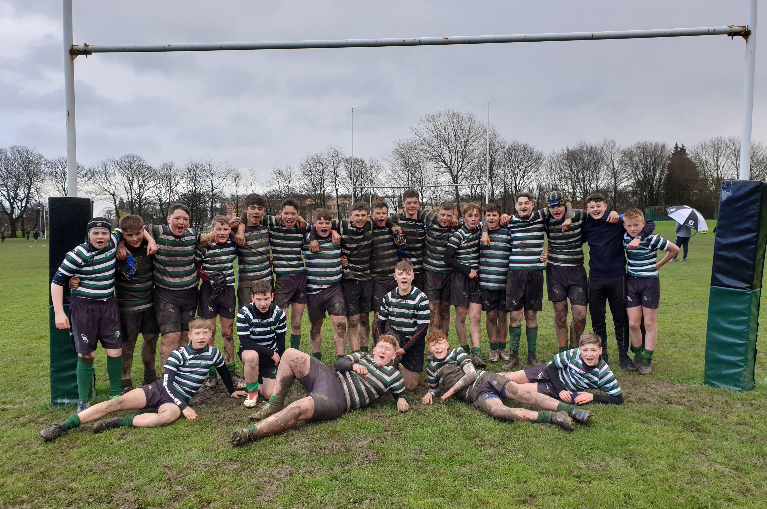 Of course, the support that parents and club representatives have afforded the Rugby Programme over the past season has been outstanding and the relationships which have been forged based upon early communication and empathy for what is best for the individual student have been excellent. Please contact Mr Gostling if you foresee any clashes or issues relating to your child’s availability to represent the academy. If you foresee any issues relating to your son’s availability to attend any of the above fixtures, then please contact Mr Gostling in good time. Executive Headmaster, Mr Goulty and Head of School, Ms Bradley are in full support of Saturday fixtures and expect students to show a commitment to the school by honouring their selection. We are now playing in a very tough and competitive fixture circuit against some of the best rugby playing schools in the country. This can only help to improve your son’s rugby skills, conditioning and game understanding as well as raising their aspirations through their involvement in the rugby program. Tue, 09/10/2018Year 10 Vs Prince Henrys OtleyThe Rodillian Academy (Longthorpe Lane, Lofthouse, Wakefield, 3831, United Kingdom) 3:00pm 4:30pmGame Cancelled by Prince Henrys due to player unavailability. Tue, 09/10/2018Year 9 Vs Prince Henrys OtleyThe Rodillian Academy - Longthorpe Lane, Lofthouse, Wakefield, 3831, United Kingdom 3:00pm 4:30pmGame Cancelled by Prince Henrys due to player unavailability. This game is being rescheduled for after half term. Wed, 24/10/20181st XV Vs Queen Ethelburga's CollegiateQueen Ethelburga's College (Thorpe Underwood Hall, Thorpe Green Ln, York, 3781, United Kingdom) 4:00pm 7:30pmGame now moved to Saturday 17th November 11:00am KO at Queen Ethelburga's. Please ensure students inform teachers if there are any issues with attending this game well in advance of the fixture date. 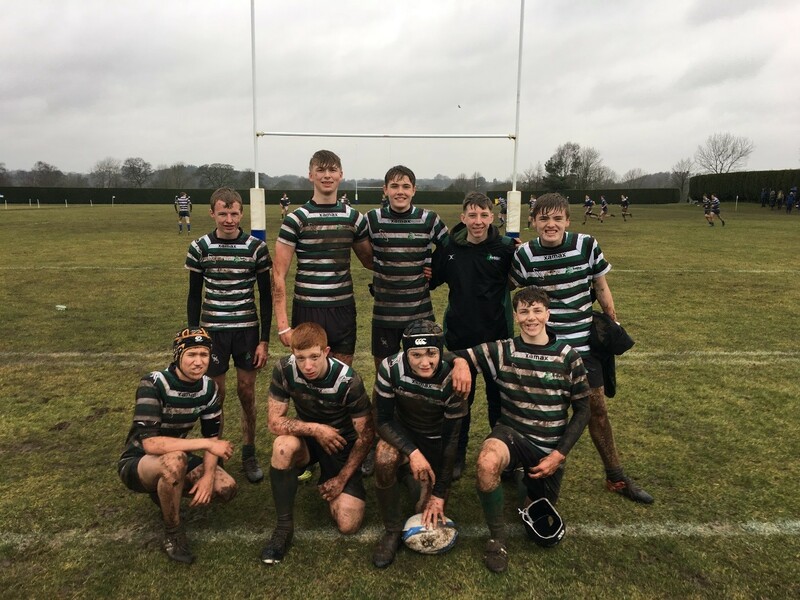 Thu, 08/11/20181st XV (U16) Vs Wolfreton (YC)Wolfreton School (Well Lane, Willerby, East Yorkshire, United Kingdom) 11:30am 3:00pmThis fixture is now cancelled by Wolfreton - to be rearranged in two weeks time - details to follow. Sat, 01/12/2018Year 10 Vs Queen Ethelburgas CollegiateQueen Ethelburga's College (Thorpe Underwood Hall, Thorpe Green Ln, York, 3781, United Kingdom) 8:30am 12:30pmFixture cancelled by QE. Christmas Festival in the main hall so unfortunately no post match tea's after the match this week. The B team fixture is now cancelled - by QE. There is the Christmas Festival in the main and dining hall this Saturday, so unfortunately there will be no food after this fixture. Sat, 26/01/2019Year 9 Vs Harrogate Grammar CANCELLED !!!! !CANCELLED !!!!! 8:30am 12:00pmCANCELLED !!!!! !